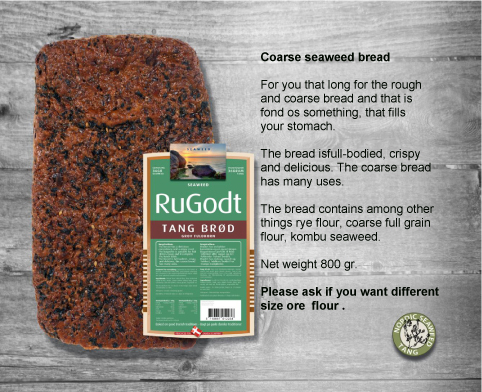 RuGodt is a bread made after Danish traditions, and we have used an original sourdough, pumpkin seeds and seaweed. With the addition of the moist seaweed the bread has a fantastic balance between the crust and the soft bread. The bread is very good at all times of the day. The bread weighs 800 gr.